Outdoor ad geeks, here's your latest bit of brilliance, courtesy of Ikea. 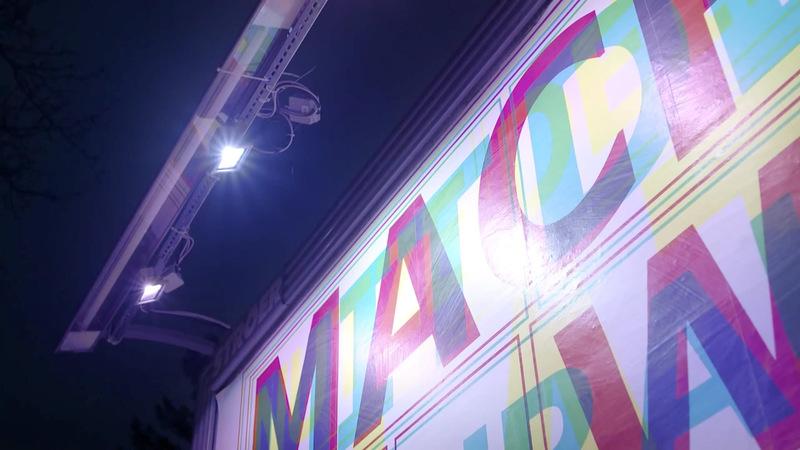 German ad agency Thjnk and production studio I Made This teamed up to create Ikea's "RGB billboard," which—much like Ikea furniture itself—makes the most of some very limited space. The board features three different headlines superimposed on each other in different colors—cyan, magenta and yellow. At night, the board shines red, green and blue (RGB) lightbulbs on the board, revealing, in turn, the different headlines. Red bulbs illuminate the cyan text; green lights up magenta; and the blue-purple lights make yellow visible. And that's how you turn nine square meters of ad space into 27 square meters. It's a delightful little visual trick that embodies Ikea's space-saving message. Now, if only it worked a little better during the day.